Quería arrancar esta historia desde que un “ordenador” Se puede poner sobre una mesa, lo que dió pie a que se pudiera usar por una sola persona y pasando a ser Personal Computer. Anterior al primero que voy a poner habría otros ordenadores, si se les podia llamar así, pero tan grandes como habitaciones y ya nos ocuparemos de ellos en otra entrada. En 1960 y a la compañía DEC (Digital Equipment Corp.) introduce un ordenador compacto, el Compact PDP-1. Su tamaño muy reducido respecto a los millonarios MainFrames que existían y a un precio asequible, $120,000. Mas tarde en 1965 la misma empresa creó el DEC PDP-8, lo que llamaron un mini-computador de sobremesa que solo costaba $18,000. Pese a la risa que nos pueda dar este mini-computador, se hizo muy popular en laboratorios científicos. Muchos consideran a este ordenador el primer ordenador personal y con el empieza la edad dorada de los ordenadores siendo los ingleses quienes se hacen con la producción de estos inventos. Hasta de los ´80, sufren una gran transformación sobretodo en tamaño gracias a la miniaturización de los componentes electrónicos. El siguiente ordenador que resalta es el Commodore PET-2001 que tenia un monitor monocromo incorporado, un procesador de 1MHz y 8Kb de memoria !!! Se lanzó en 1977 y costó £850. uina de estas caracteristicas de la Oxford-based Research Machines. Targeted at the education market it sported a 4MHz processor, 4KB of memory and came with a separate keyboard and monochrome monitor. On launch it cost £3,266. introduced low cost personal computing to the world with the ZX series of machines. With a 3.25MHz processor and 1KB of memory the ZX81 had a membrane keyboard, could connect to an TV and load programs from an ordinary tape recorder. Widely used in schools across the UK the BBC Micro was a massive success for its Cambridge-based manufacturer Acorn Computers. Acorn anticipated it would sell 12,000 machines but went on to sell 1.5 million. Launched in 1981 at a cost of £299, it ran at 2MHz and had up to 128KB of memory. Lin Jones, project manager at The National Museum of Computing, said the British boom in personal computing during the 1980s, which gave rise to the BBC, Spectrum and Amstrad, had inspired a generation of programmers. Acorn went on to produce the Archimedes series of computers and chips developed by its subsidiary ARM are used in many different mobile phone handsets today. Cuando de verdad se hablo de computadores personales fue a partir de aqui coincidiendo con la aparición del IBM PC. Hasta ahora solo eran microordenadores. The IBM PC was first introduced in 1981 and went on to be so successful that the term PC became synonymous with IBM compatible hardware. 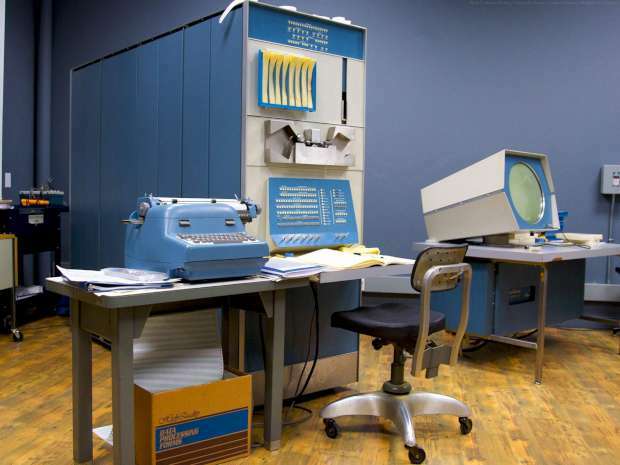 This IBM model 5150 sported a 4MHz 8088 processor and 64K of memory. In 1981 it cost roughly $1,565. 1982: Kaypro lanza la computadora Kaypro II y Olivetti el ordenador Olivetti M20. 1983: Laser 200 – computadora de VTech de nivel de entrada dirigida siendo el más barato en mercado). This is the Olivetti M20, was based on the Zilog Z8000 16-bit processor and sported a proprietary operating system called the Professional Computer Operating System. The computer cost $5,400 on its launch in 1982. The Dragon 32 computer was launched in 1982 by Welsh manufacturer Dragon Data. Released during the boom years for British home computing it had a 0.89MHz processor and 32KB of memory. On its launch in 1983 the Apple Lisa was a high-end system with the first graphical user interface. The £4,500 ($9,995 in the U.S.) machine had a 5MHz processor, support for up to 2MB of memory and a large high resolution display. The computer was ahead of its time, offering protected memory that would not be found in the Mac OS X operating system until it was released in 2001. The Oric-1 and Oric Atmos were produced by Cambridgeshire-based Tangerine Computer Systems. Launched in 1983, the Oric-1 had a 1MHz processor and up to 48KB of memory. Its £129 price tag matched the pricing of models of the competing ZX Spectrum. The Atmos model added a keyboard with full-sized individual keys and an updated V1.1 ROM. The low price of the Amstrad CPC 464 combined with its power and flexibility led to more than two million machines being sold, making it one of the most successful computers in Europe. Processor, keyboard, tape recorder and monitor were all included and it ran a large number of programs. 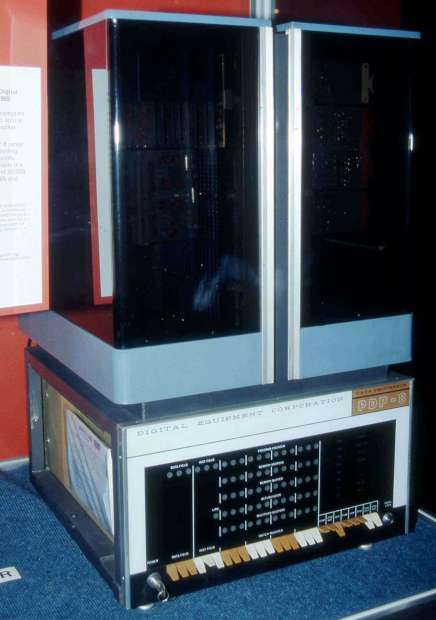 The 4MHz, 64K memory machine cost about £700 on its launch in 1984. The original Apple Mac personal computer was the first commercially successful PC to feature a mouse and graphical user interface, rather than the text-based command line. Launched with the Orwellian 1984 themed ad, directed by Ridley Scott, it cost £1,600 ($2,495 in the U.S.) and had a 8MHz processor and up to 128KB of memory. A strong seller, 72,000 machines were shifted within four months of its launch in January 1984. This rather bulky machine is the Osborne 1, the first commercially successful portable personal computer, classed as a “luggable”. Launched in 1981, it was about the same size and weight as a suitcase and cost more than £1,500 ($1,795 in the U.S.). Its use was limited by a built-in 13cm display and single density floppy disk drive. Despite this the 4MHz 64K machine was popular, shipping 10,000 units each month and spawning a range of imitators at its peak. The Epson HX20 is considered to be one of the world’s first laptop computers. It included a full keyboard, a four by 20-line display, storage device and rechargeable batteries with a Microsoft Basic operating system. The machine was used for many years in pharmacies to send orders to wholesalers and can still be found in use today. IBM’s first laptop computer in 1986 was also the first machine by the company to use 3.5-inch floppy discs. Sales of the PC Convertible were poor, as it was hampered by a hard to read and oddly shaped LCD screen, did not feature PC serial and parallel ports and was not much faster than the Portable model that it replaced. The £1,800 ($1,995 in the U.S.) machine ran at 4.77MHz and had 256KB of memory. Apple packed a lot into its first portable computer the $6,500 Macintosh Portable, launched in 1989, with a 16 MHz processor, 1MB of memory and built-in LCD screen and trackball. The Apple MessagePad was the first PDA with handwriting recognition. Despite offering many features of a traditional PC it was not as commercially successful as Apple had planned. The device was generally known as the Newton and cost more than $1,000. The journey finishes with the Apple iPhone, seen here surrounded by the different devices whose functions are packed into the handset. In the exhibition the iPhone represents today’s generation of smartphones that are able to combine touchscreen, handwriting and speech recognition with the functionality of phones, PDAs, games consoles, cameras, TVs, MP3 players, DVD players and sat-nav devices. People can also try their hand at classic games at the exhibition, from Nutcracka on the BBC Micro to The Simpsons on the Amiga. TNMOC is based at Bletchley Park, home to the World War II Enigma codebreakers, near Milton Keynes.